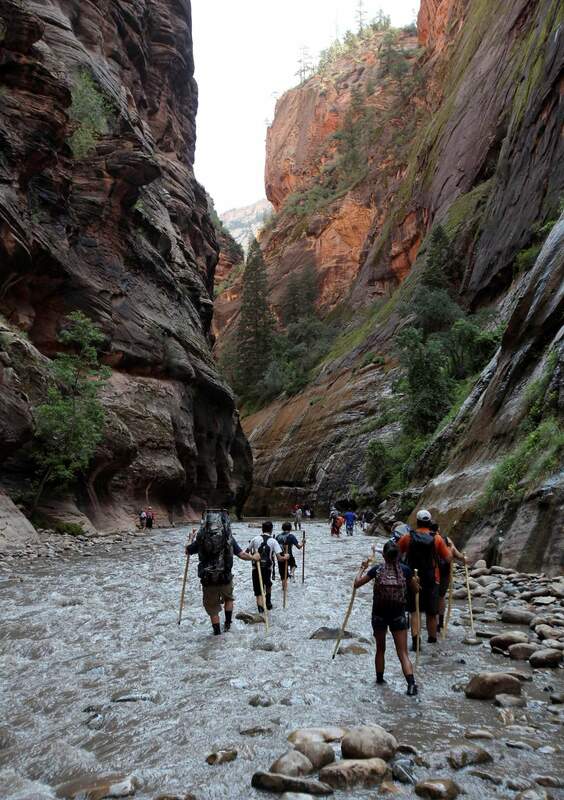 Hikers wade through the cold Virgin River along the “Narrows,” in Zion National Park, Utah. That’s because we tend to mentally lump all our scheduled activities in the same bucket - whether it’s a dentist appointment or grabbing coffee with a friend. And that makes the pleasurable activities more of a chore. We schedule activities back-to-back for fear of not accomplishing them all. Malkoc - who has an expertise in how people perceive and consume their time - links the over-scheduling of free time to the value that we place on achievement over contentment. “When scheduled, leisure tasks feel less free-flowing and more forced - which is what robs them of their utility,” Malkoc explained in her email. “If things don’t work out, in all likelihood at least one of the parties was forcing themselves to make it happen - and thus would enjoy it less. So, maybe things worked out for the best, right?” she wrote in her email.